Camping advice and instruction includes ways to protect against the weather, first-aid for injuries, advice on using a compass, tips for studying the night sky, identifying birds, and much more. 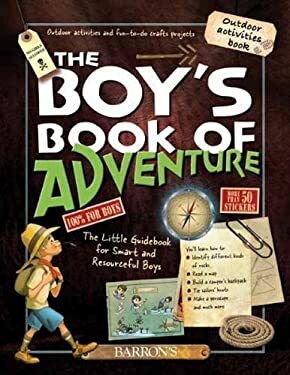 The book's wide array of topics and sturdy construction makes it an ideal outdoor companion for hiking and camping excursions. An elastic band bound into the back cover can be stretched over pages and used as a place marker. Color illustrations on every page.